“Come for the technology, stay for the community”—a tagline that speaks for itself. We’ve seen that despite our growing list of member benefits—an awesome technology platform, customized business coaching, compliance support, and more—the XYPN community ranks supreme as the most cherished benefit of all. In fact, our Member Experience Program reports that 33% of XYPN members cite “the community” as the most beneficial part of membership—more than any other benefit we offer. Because you’re an astute financial planner and business owner, you want proof and hard facts. You want dollar values associated with each benefit, and a true understanding of how each benefit actually benefits you. For that reason, I’ve “quantified” different examples of how members engage in our virtual community and associated savings in dollar values. From saving you time to saving your sanity, online community engagement at XYPN pays dividends. Let’s start with the savings in terms of hours. What’s your hourly rate? What price point do you equate with your hours? If you’re like most members, it’s somewhere in the $200-300 range. But even if you’re in the lower range, somewhere around $100/hour, you’d still see massive savings from engaging in the XYPN community. Take for example vetting technology. Why spend hours upon hours vetting the twelve different CRMs or financial planning software options when we’ve already done that for you? An array of technology tools and solutions are included in XYPN membership. By relying on the tools XYPN has already vetted, you’ll save yourself dozens of hours, which is half the battle. The other half is how to use that tool appropriately to work with Gen X and Y clients. Guess who helps you with that? The XYPN community. Whether it’s a question regarding how to maximize the productivity of a tool or the best practices on how to use it, our members have been there, done that. There’s no need to reinvent the wheel: our members share their experiences openly. Fellow members jumped to answer this question. They responded with a work-around, ideas, and thoughts. The inquiring advisor (and all members) saved hours because of this discourse. To quantify, let’s do a low-ball estimate of the advisor saving at least five hours that month alone, lifetime value aside. Boom. $500. What better way to find answers to your state-specific questions than by brainstorming with your fellow members. Instead of staying up late worrying about whether the regulator will approve a fee structure, members can ask each other (not to mention our team of experts!) about best practices. If a member can save 10 hours of heartache, stress, or worry during a registration, ADV update, or an audit process, there’s value in that. Let’s call it a flat $1,000. Professional Referrals: Throw that Yellow Book Away! Although the XYPN community is rapidly racing towards the 1000-member mark (talk about Crazy with a capital “C”), we have to remember that our community is much larger than just our members. Our membership community includes one another’s professional referrals and centers of influences—our contacts, our back-pocket experts. We frequently see requests for professional referrals in our members-only forum. Members seek expert help from a variety of subject matter experts, from estate planning attorneys to insurance brokers to virtual assistants to website designers. A single response was all that was needed. When given a recommendation from a fellow member, it’s a warm lead. There could be four to five referrals shared, all of whom have already been vetted by members who have likely used the referral before and/or know them personally. Additionally, the referral has likely worked with financial advisors before and are familiar with the relationship dynamic. The benefit to clients can’t go without mentioning—when they’re happy, you’re happy. Keeping clients happy is the key to retention. Let’s say just one client sticks around one extra quarter because of a helpful referral. At $200/month, that’s $600. And that doesn’t even take into consideration client acquisition costs when departing clients need to be replaced. Guess who can also vouch for how great you are as an advisor? That referral. When the referral recommends you to his/her clients, it comes full circle. If that translates into just one new client, that could be a value of $5,000. Imagine a client has complicated stock option decisions to make. The CFPⓇ coursework only gets someone so far in understanding the nuances and “Kitcesing” (yup, Kitces has become a verb) proves to present only more options than originally imagined. Maybe an advisor feels like s/he just needs a little confirmation that their advice is sound. Sometimes, advisors just need to talk it out, write it out, and ask for feedback. Some of my favorite questions to review in the member forums are questions about specific client needs. With the above example, we can see how bringing questions to the community can prove invaluable. We have several members who are well-versed in stock options who happily chime in to offer reassurance, advice, and sometimes to play Devil’s Advocate. Better yet, that expert member shares a handy resource that all members can reference. If a member-to-member conversation ignites the “a-ha” moment that translates to advice that saves their client money and/or helps that client meet their goals, the community has proved invaluable to that advisor. How much would you pay for a member-expert to confirm that your thinking is correct, or better yet, to inform you that you are actually incorrect? Leveraging the knowledge of experts may very well be a fiduciary responsibility of an advisor. I say that missed mistake is worth at least $500. Avoiding a fiduciary challenge? Priceless. Another way to garner more value from membership is through client referrals. Yes, I wrote that correctly. One of the many benefits of niching up is that advisors become honest about the types of clients they want to serve. This allows advisors to be selective when working with prospects. If a prospect isn’t the right fit, why force it? Instead, encourage them to work with a different advisor, specifically one who can handle their niched needs. If two members are niched up, the referral relationship can be quite strong. This actually happens! This is an awesome example of an advisor being honest with themselves about who they want to work with and leaning into the community to find a right fit for the prospect. Not all members post their prospects in the Member Forums. Those who already have a tight web of centers of influence often have fellow members in their back pockets to whom they refer prospects. Whether it’s happening in the member forums or individually between members, referrals are valuable. If you happened to score a client from a fellow member, it could earn you a lot of money. Let’s call it a flat $1,000. Am I really going to attempt to quantify sanity, motivation and stamina? You bet! More often than not, I hear members cite their mastermind group as the reason for their sanity. The reason? Building an RIA is seriously hard work! It takes dedication, patience, time, and a lot of energy. If any one of those things is lacking, the endeavor can seem extraordinarily difficult. Combine that with working out of a second bedroom with no colleagues and with and a dwindling sense of self and you have a recipe for disaster. Get ready to waste a lot of time in the doldrums. Alan Moore, co-founder of XY Planning Network, has always said, “Loneliness can kill an entrepreneur.” This statement motivates the XYPN Team to work diligently to promote mastermind groups. When advisors join mastermind groups, they gift themselves the chance to remain sane. 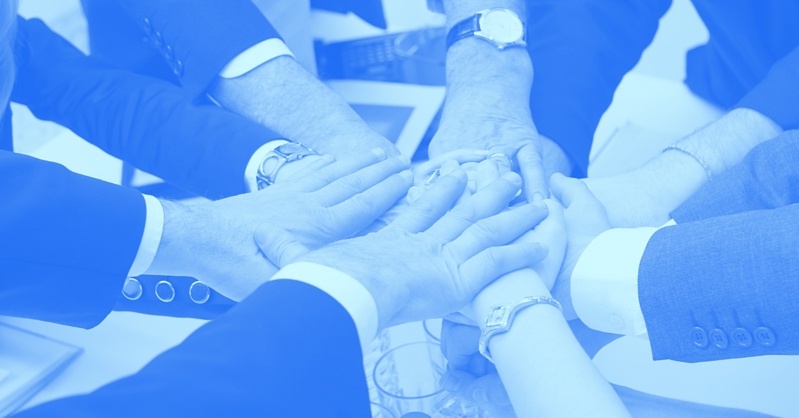 XYPN encourages members in their first year to join a weekly mastermind group, ensuring that, at the very least, members can work collaboratively a handful of times every month. Groups that gain traction end up expanding their communication to phone calls, Slack, and texts. As members get to know each other, they are more willing to address the hard parts of their struggles, push back when they sense time is being wasted, or offer solutions when a molehill has turned into a massive mountain for their colleague. In the journey of entrepreneurism, this kind of support is invaluable. The relationships formed in a study group last a lifetime, and the benefits of a sanity partner cannot be overstated. And don’t forget all the peripheral benefits: study group participants refer clients to one another, hold each other accountable, celebrate successes together, become one another’s succession plans, and most importantly, become each other’s friends. Let’s say a study group member saved an advisor five hours of time by helping them see around their roadblock, thus allowing them to get up early the next morning and crank out the blog they couldn’t drag themselves out of bed to write the day before. At $100/hour, that colleague just saved the advisor $500 of time. Anytime a member's mental wheels are spinning out of control and a colleague can help hit the brakes, that member saves time, energy, and money. Who doesn’t love that? If this advisor is able to keep his/her business moving forward because of the relationships built through our community, that community has been invaluable. But let’s try to quantify it anyways. If this advisor gains the stamina to continue into year two, and say, raise their fees, they could make a firm-altering change for the positive. Let’s assume this advisor raised their fees by $50. Assuming they had more than 10 clients, that could easily result in a $1,000 value over the next few months. Not too shabby. Not every member will experience the exact value of every opportunity I outlined in this blog. Not everyone will choose to lean into the shared network. We know engagement varies among members. As I always say, there’s no “right way” to take advantage of membership. But embracing the community sure does help. However you quantify it, however you define it, however you experience it, I think we can all agree that we can’t do this alone. Collaboration with fellow advisors pays dividends well into the future, and is, ultimately, priceless. Maddy Roche is the Director of Member Services at XYPN, and has been making moves and getting sh!t done since she joined the team in May of 2014 when the Network was made up of our first 30 founding members. Since then, Maddy has worked with and welcomed each of the Network’s members, and helps all of them take advantage of XYPN membership. Maddy is responsible for member benefits and services, including management of vendor partnerships and member rollouts and initiatives. 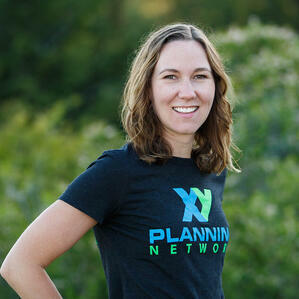 She manages the XYPN Member Experience Program. Six Compliance Considerations for Merging Firms How Financial Advisors Can Overcome Their Self-Doubt: What Would Arlene Say?